What a amazing 2016 was! 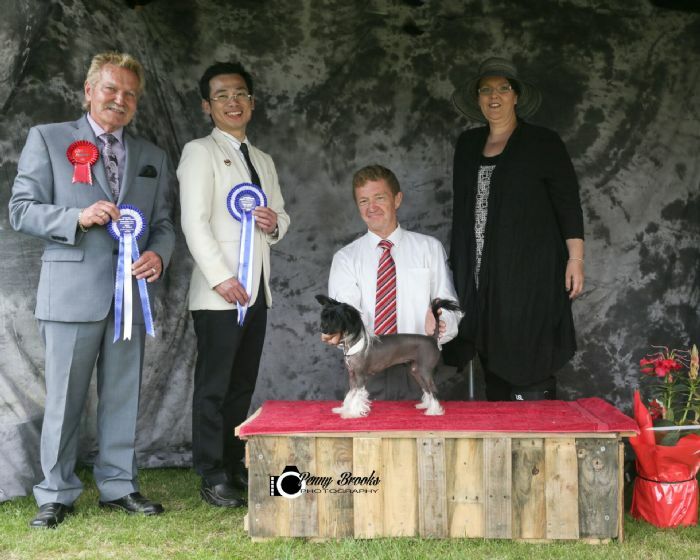 top show dog, best of breed north island, best rising star WOW! Started off 2017 with a big bang, another reserve in group, puppy in show(all breeds), 2x puppy in groups, and its not even end of January! 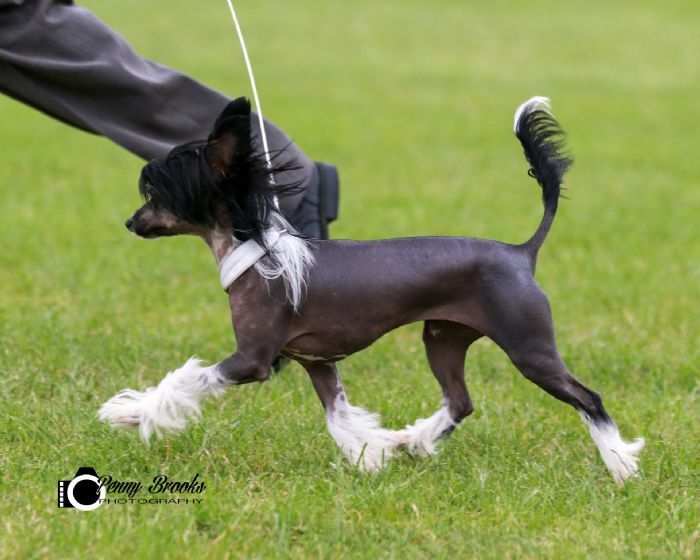 She does amazingly well under Chinese Crested specialists and toy dog specialists who admire her movement, correct structure, true to type temperament and Proper construction. we thank all the judges who have recognized her quality and have placed her. Evelyn is bred and handled by Paul O Grady whom I owe my undying gratitude for not only a superb show dog, but a great dog to own and love. 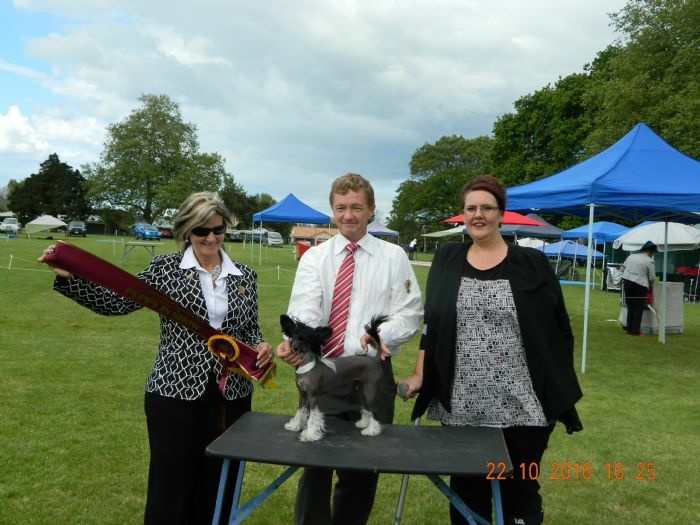 Evelyn goes 3rd in stakes at Tokoroa Kennel Assn! Evelyn goes 2nd in Stakes at Hamilton Kennel Assn!!!! Evelyn goes 3rd in stakes at Wanganui Kennel Assn!!!! !